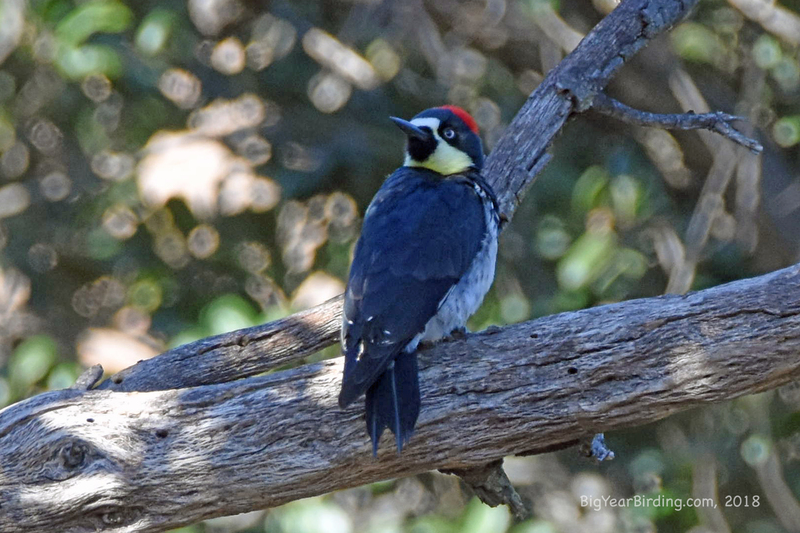 The Acorn Woodpecker has a black back and chest, white belly with black lateral stripes, white rump, and white wing-patches. Its head is patterned in a striking and distinctive ‘clown pattern,’ with a white forehead, yellowish to white throat, black about the bill, a stripe of black surrounding the eyes and running down to join the black of the nape and back, and white irises that make its eyes especially prominent. The crown of the male is red, that of the female black and red.